With so many different grants and loans available for financial aid, it is important to review the details of each one to understand exactly the type of aid you’re receiving when in the middle of your college planning process. Grant – Money that does not have to be repaid; given to a student to cover some portion of the cost of college. Pell Grant – Federal money awarded to students for need-based financial aid. The maximum amount of money awarded for a Pell Grant in 2017 was $5,920, and can cover any of the expenses related to attending college. 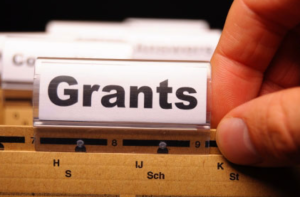 SEOG Grant – Also, known as the Supplemental Educational Opportunity Grant, it is a grant for low-income earners who receive close to the maximum Pell Grant award. SEOG Grants can be up to $4,000. Cal Grant – A financial aid program providing aid to California families whose kids attend California schools. To be eligible, there is a family income and GPA requirement that needs to be met. In 2017, with up to $12,240 of annual aid provided to students, the Cal Grant is the largest source of California state-funded student aid. Loan – Usually part of the need-based financial aid award, a loan is a sum of money awarded to students to pay for college that needs to be paid back, along with the interest it acquired over the period of the loan. Direct (Stafford) Loans – There are two kinds of Stafford Loans: Subsidized Direct (Stafford) Loans do not need to be paid off until the student graduates from college and are usually factored into a school’s award letter. Unsubsidized Direct (Stafford) Loans start accumulating interest from the first day they are disbursed to the college and are usually not awarded on the basis of need. Though there is some complex terminology, the different loans and grants are very distinct and specific, so make sure you know the difference between each one. Refer back to this article if you ever forget which one is which. Let us know if you have any questions about any of this terminology. It isn’t easy to remember all of their nuances, but it does get easier with each passing year!